Tennis players are sweating, toxic ozone warnings are out for Sydney and fruit is cooking on the branches. This is a heatwave, Australia. Sarah Fitton is an extreme weather meteorologist at the Bureau of Meteorology (BOM) who said the heat would peak over the next few days. There is expected to be a slight reprieve over the weekend before the heat starts to build again across southern Australia early next week. It reached 40 degrees Celsius in Adelaide on Wednesday, but is expected "cool off" down to 37C on Thursday. But Ms Fitton said anywhere inland through South Australia, central and western New South Wales, and northern Victoria could see temperatures in the low to mid-40s on Thursday. Canberra is going to see another three hot days: 41C Wednesday, 41C again on Thursday, and 40C on Friday. The average maximum temperature for Canberra in January is 28C, while the highest January temperature recorded in the city was 42.8C at the old Acton Site in 1939. The hottest that Sydney city is predicted be is 34C on Friday, but out west it will be a very different story. Penrith is forecast to get to 45C on Friday, nearly 15C above the average January maximum but still down on the January record when it soared to 47.3C on January 7, 2018. "Richmond is forecast to reach 44C on Friday before that cooler change, reaching 35C on Saturday," Ms Fitton said. "So, still above average for this time of the year but a drop from what will be experienced in the next few days." Across in West Australia, conditions are currently more mild but are expected to warm up over the weekend as the wind direction changes to come from across the continent. It is forecast to reach 40C for Perth on Sunday. How hot has it been already? New weather records were set in SA on Tuesday. Ms Fitton said Tarcoola reached 48.9C, breaking the record by 0.1 of a degree. In Port Augusta the hottest temperature ever recorded was smashed by 0.7 of a degree when it got up to 48.9C. Ms Fitton said these record temperatures could just be the beginning. "We saw a handful of sites yesterday [Tuesday] break their highest-ever January temperature records, including Broken Hill, which reached 45.4C and Albury which reached 44.4C," she said. "It's likely that today [Wednesday] and tomorrow [Thursday] we could see January, and perhaps even all-time temperature records, fall for a broad area of NSW, particularly the southern half of NSW." How does it compare to past heatwaves? Ms Fitton said it was difficult to compare one heatwave to another. "It is quite difficult to quantify in terms of individual locations, but certainly we're seeing some record temperatures broken at multiple sites," she said. "It does have the potential to be quite a significant one for the record books." Blair Trewin, senior climatologist at the BOM, said in terms of its length, intensity, and the proportion of Australia impacted, the best comparison with the current heatwave would be the heatwave of January 2013. But he said there are differences. For example, this event has not yet affected Sydney to the extent it did in 2013. 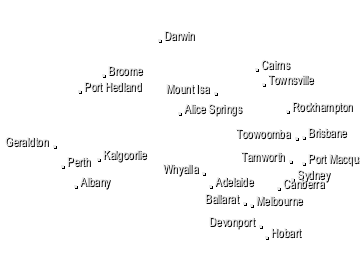 Dr Trewin said there had been some major heatwaves since, like in January 2014 in northern NSW and southern Queensland, and February 2017 in eastern NSW, but these events covered smaller areas than the current one. Another historical heatwave that comes to mind is that of 1939. Dr Trewin said a lot of the 1939 records had been broken in the last decade, but one region where the 1939 records still largely stands is in southern inland NSW and north-east Victoria â€” also the region likely to see the most abnormal temperatures this week. "At this stage it looks like this week's heatwave in that region will be of comparable intensity to 1939, but not quite as long-lasting," he said. "However, the 1939 heatwave was largely confined to NSW, Victoria and SA. "Tasmania was largely unaffected, and in WA it was actually a very cool January." Heatwaves are Australia's most deadly natural disaster and Ms Fitton said people often underestimated them. Even fit, healthy people are encouraged to take precautions to keep cool during extreme heatwaves. "In terms of this heatwave, we are reaching extreme heat wave intensity in some locations," Ms Fitton said. "This intensity will impact not only the vulnerable in the community, those who are elderly or pregnant or young children or those with an illness, but they can also have a major impact on healthy people, and also on infrastructure, like electricity and transport." Ms Fitton said the predicted high temperatures needed to be taken seriously. "Definitely be aware that these heatwaves can be dangerous, particularly when the overnight temperature remains elevated," she said. "Both the human body and infrastructure doesn't have the chance to cool down overnight. "That exacerbates the conditions that are experienced during the day." Ms Fitton said the heatwave would have been caused by a high pressure system in the Tasman Sea that is not moving, causing very clear skies over central Australia. "To the north we haven't seen the onset of the monsoon," she said. 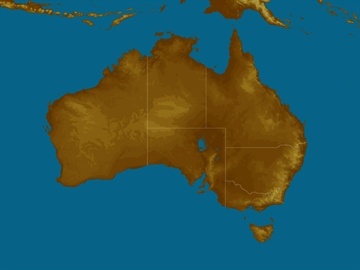 "So we also have quite clear skies and not a lot of rain or thunderstorm activity over northern Australia. "That's really allowing the temperature to build up both through northern and central Australia. "We're in January so the days also are very long and we haven't had any big cold air masses that have pushed through southern Australia to take away a little bit of that heat." According to Ms Fitton, the good news is there would be a reprieve as we moved into the weekend. "We are going to see a cooler, southerly change that's going to start to move over the very far southern coastline Thursday into Friday," she said. "Temperatures will drop more significantly through most of SA, Victoria, and Tasmania." But the forecast is not so favourable for those living in NSW. "It's still going to remain above average temperature through NSW and Queensland," Ms Fitton said. "We will see a drop in heatwave conditions to just low intensity through NSW over the weekend, but at this stage it does look like it's going to start to heat up again early next week." Editorial note: This article previously reported that Canberra's record January temperature was recorded Canberra Aairport at 41.4C on January 31, 1968. However, the highest January temperature recorded in the city was 42.8C at the old Acton Site in 1939.